There are many reasons why you may want to install oak furniture into your home. For instance, you may be looking for furniture that will last decades and is being bought to be enjoyed by generation after generation of your family. Of course, you may also buy oak furniture simply because you love the way that it looks, and who could blame you? The truth about oak is that it has been used as a material for furniture for thousands of years, though not by everyone. Unfortunately until relatively recently oak was used as a visual tool to display both wealth and power, being only present in the most select and prestigious houses. There are two reasons for the popularity of oak; durability and natural beauty. As oak is highly durable, it is used for a plethora of reasons, for furniture, flooring and even ship building. Of course, beauty is also key to oak’s continued success for its use both within and outside the house. For thousands of years, the beauty of oak has been used throughout the world upon the flags of countries, armies and political parties such as the Conservative Party of the United Kingdom. What’s more, oak can also be used for flooring and is both up and down the country. It is a little known fact that solid oak flooring can actually raise the value of your home and statistically speaking, is more likelier to sell quicker than one without; a great asset to any house or flat that is about to go under the hammer. Another reason that people enjoy both oak flooring and oak furniture is the fact that it is actually more hygienic. Whereas carpeted materials trap dust and dirt to the highest degree, often affecting the health of children and the elderly, oak surfaces are much flatter meaning that they are easily cleaned and accessible; attracting less dust and household pollutants, which is great if you or someone in your family suffers from asthma or eczema. Of course , all oak is good. 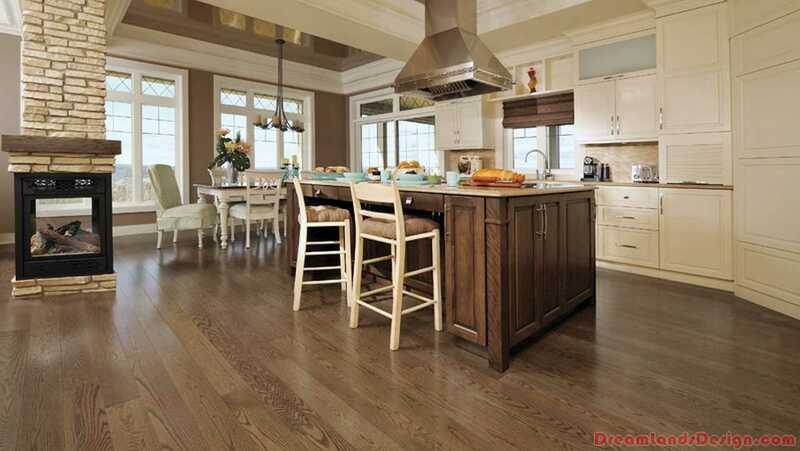 So if you are looking to install oak flooring, you may also wish to look for engineered flooring as well as solid. Although engineered flooring may sound relatively obtuse, it is in fact a great alternative to its more expensive counterpart. If you buy good quality engineered oak flooring for example, to the eye, there is no single difference between the two. Not only this but contrary to popular belief, engineered flooring does not devalue your house whatsoever. Whatever you choose, whether it is oak furniture or oak flooring, the possibilities of oak are simply endless, as is the length of time in which it lasts! Buying new bedroom furniture can be an exciting way to update your decor. Although beds are available in many different types of materials, for some the traditional look of an oak bed cannot be beat. Others purchase oak beds because they prefer the design or the quality. Have you considered purchasing an oak bed for your next bedroom set? If not, you should. This article will talk about why oak beds remain some of the most popular pieces of bedroom furniture on the market today. Why Buy an Oak Bed? An oak bed is not only a great centerpiece to your bedroom, but it is also built to last. Being a hardwood, oak can takes years of regular use without damage or wear. You may wish to purchase an oak bed to match your other bedroom furnishings, to match the overall decor, or simply because it matches an overarching theme in your home or wood furnishings in other rooms. Any of these reasons is a fantastic reason to purchase an oak bed. An oak bed brings you not only quality and strength, but also versatile and stylish. Oak beds are available in many different styles. Although some may think of an oak bed as a very traditional item, these bedroom furnishings can range from the traditional to the very modern. Different styles of oak beds you may be able to purchase include platform beds, traditional sleigh beds, beds with large, small, or no head and foot boards, and more. Not only that, but there is an oak bed to fit almost nearly any decorating budget. Whether you simply need a replacement bed, or if you are looking to give the decor of your home an all-new feel, it can very easily be done in the bedroom by replacing your current bed with an oak bed. You can rest assured that an oak bed will give you the quality and stability in a bed that you need. Some oak beds have been in families for years, and are still great pieces of furniture that look nearly as good as the day they were purchased. When purchasing an oak bed, you may actually want to think about if you would like this furniture to become a family heirloom, as you may find, after years of use, the opportunity to pass it on to other loved ones.